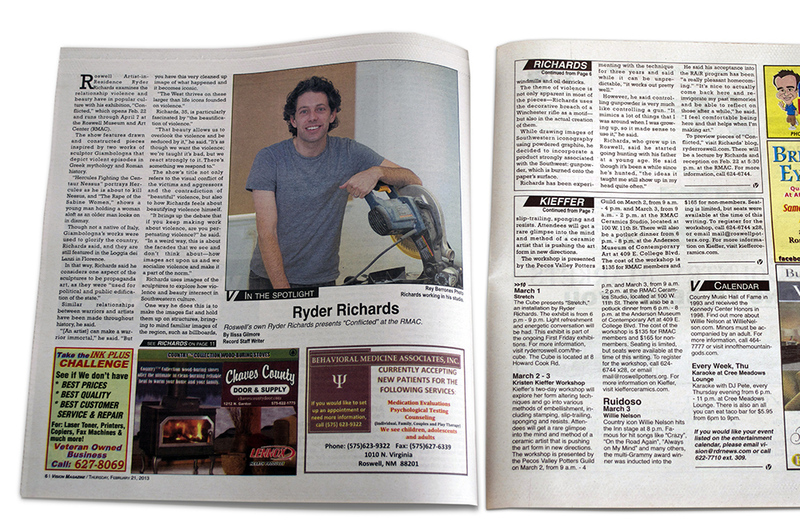 “Ryder Richards” by Ilisa Gilmore, VISION MAGAZINE, Roswell Daily Record Publication, February 21. 22 Feb	This entry was published on February 22, 2013 at 4:43 pm. 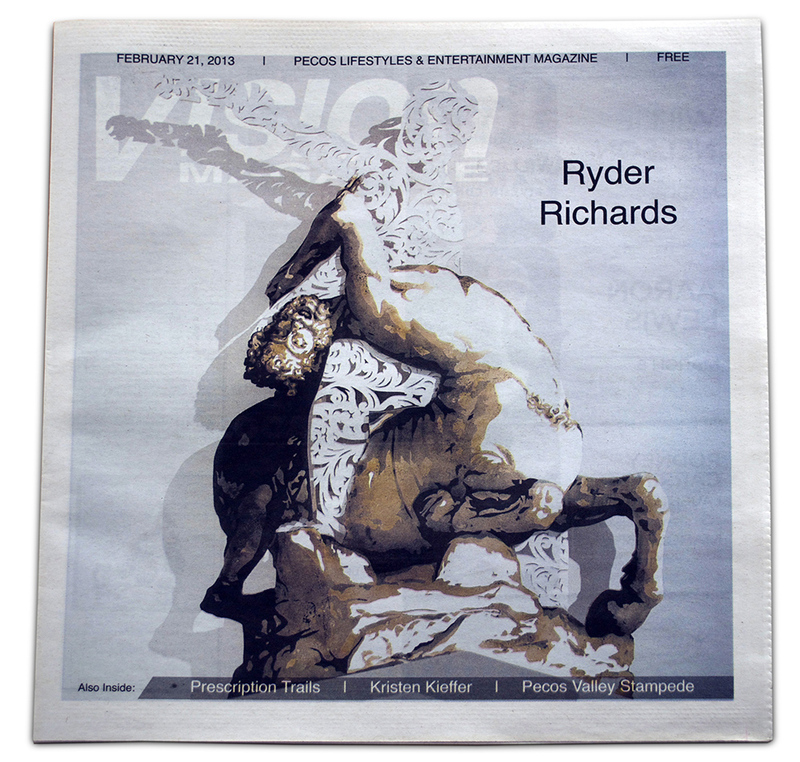 It’s filed under Press and tagged conflicted, press, roswell, roswell daily record, ryder richards, vision. Bookmark the permalink. Follow any comments here with the RSS feed for this post.